You work hard for your money; it should work hard for you. And while intentionality is quite the hot word these days, it’s really the key to making your dollars put forth that extra effort. Being intentional is how to save more money (and spend less!) each month. Because you know the money isn’t really the muscle, right? You are. Your money isn’t achieving new and wonderful things. You are! Still, there’s a whole wide world of ways to save money out there. Where do you even start? Start quick. Start easy. Start here. 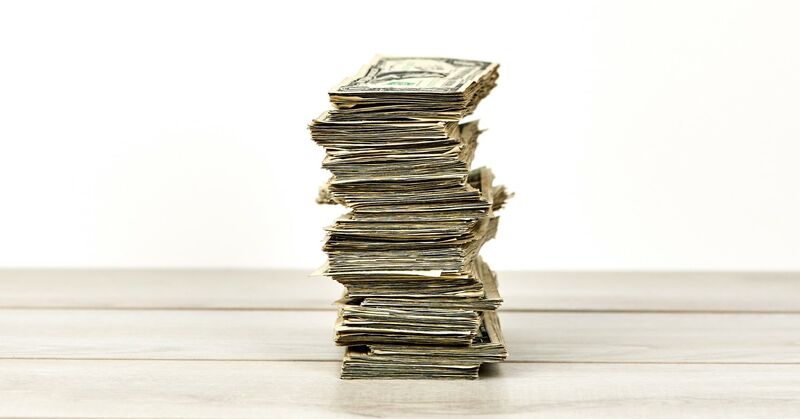 We’ve got 20 simple tips to help you save money throughout your day, week, month, year, life! And here they are. You can save money from anywhere your thumbs are. Just tap-tap-tap your way to coupons or cash back by downloading awesome apps like Ibotta, Checkout 51 or RetailMeNot. Let Honey and GasBuddy tell you about the best prices available on items in your wish lists or gasoline for your car. And don’t forget to download the apps for your favorite stores. You can check out sales, join rewards programs, and nab coupons. Just be careful about the temptation to online shop when Target, Walmart or Amazon are there every time you open your phone. 2. Check in on your subscriptions. Do you really need multiple television and music streaming services? How many subscription boxes or magazines show up in your mail each month? We aren’t out to bash these services. But if you haven’t thought about it in a while, you may be signed up for stuff you don’t even really use, watch or read any more. If you’re trying to save some extra cash, cutting out that narwhal collectible of the month club or subscription to pretzel enthusiast magazine could be just the thing. Green is our favorite color. Have you noticed? But in this case, we’re talking about making more energy-efficient life choices. Some of these are, quite honestly, initial investments. But they all pay off in the end. For savings on home expenses, we’re talking about turning off the lights when you leave a room, buying light bulbs that have earned the ENERGY STAR, purchasing a programmable thermostat, or taking quicker showers. To save on transportation costs, carpool, use public transportation, or start biking. All of these green changes can add green to your wallet. Like dollar bills. Which are green. Hence our favorite color. You’ll need to use your discretion on this. Don’t buy used tires, toothbrushes or tacos. But if you’re in the market for a car, pet (shelter furbabies for the win! ), tools, baby clothes, video games, or books, then you can save money and inherit instant character by purchasing gently used items instead of new. Myth: Spending a lot of money on dates will mean securing the love of your life. Truth: You can have fun and fall in love while still being thrifty. Fill a picnic basket with popcorn, apples, an assortment of cheeses, and chocolate (of course), then take it on an enjoyable hike. Bring home Chinese takeout and dine directly out of the boxes while streaming your favorite show. Browse the aisles of a used bookstore before grabbing coffee and dessert. Enjoy the companionship more than the cost. 6. Evaluate your TV choices. If you’re paying high prices for your cable package and watching very few of the channels, you aren’t alone. Plenty of people are realizing they can save money and still get all the shows they want (and more!) by switching to other choices. Look into YouTube, Vimeo, Hulu, Netflix, or Amazon Prime Video. Try watching recently aired episodes online. Or use that library card! You don’t have to jump back to medieval days where your only entertainment was watching the knights joust. Just trade that cable bill for a lower-priced—but still awesome—option. Some of us need the interaction of others that happens in a gym. Others of us just want to get fit without the membership, personal trainer, and special class fees. If you’re wanting to burn calories without burning through your paycheck, check out exercise-streaming services and even free YouTube videos. Plenty of fitness gurus have realized we need stay-at-home, non-DVD options, and they’re putting out high-quality content that we can get swol to any time of day from the comfort of our own living rooms! 8. Ditch your credit cards. The best way to get ahead? Stop getting behind. Sounds logical, right? So apply that to your money. Using credit cards gets you behind in your finances as it grows nothing but your debt and the amount of stuff you have (that isn’t even really yours). Debt gives the false illusion of ownership. It’s a constant floating cloud of obligation that hangs over your head, keeping out the warm sunshine of true ownership, which comes from credit card-less debt-freeness. Ditch the credit cards, and you can start owning for real. You can shift those debt payments toward your money goals. Not only is it an empowering life change, it’s also going to end up saving you so much money in the end. 9. Wait before you buy. Maybe your parents told you to sleep on it before making a big decision. Some people recommend giving a choice a couple days’ thought. Following this “wisdom to those who wait” philosophy, spend time price-checking, pro-and-con weighing, and desire measuring before you buy. Desire measuring? Sure you want that new multi-pocketed, all-weather, flannel-lined-interior laptop case the moment you first lay eyes on it. But does that desire diminish over time? Impulse buying is expensive. Practice a little patience before substantial purchases. You’ll save money by finding a lower price during that research time or deciding not to buy after all. 10. Enjoy the great outdoors. There’s a whole world out there, and it’s just waiting to be explored. On the cheap. Of course, there are plenty of ways to enjoy nature while paying a pretty penny, but there are also a plethora of penny-pinching pleasures awaiting you in the wild blue yonder. Hiking. Biking. Spiking (a volleyball). Kayaking. Backpacking. Flapjacking (on your campfire stove). Corn-mazing. Stargazing. Curtain-raising (with outdoor theater). Get out and save up. 11. Brew your own coffee. Clutter can give us a false sense of fullness. When, really, clutter’s just a sign of stuffness, which is a new word we made up to describe when you’ve got stuff just to have stuff. It brings no good and overwhelms every closet, drawer and corner in your house. You can cash in on the clutter in your life by selling your stuff! Post things online, take things to a consignment shop, or have an old-fashioned garage sale! Lower your stuffness as you create calmer surroundings and make some extra cash. 13. Search for free entertainment. Free entertainment is bad when it’s tickets to a subpar comedian performing at a shady club in the bad part of town. Free entertainment is great when it’s books, audiobooks, e-books, movies, story times, and presentations or performances from talented artists. Where can you get hooked up with that kind of loveliness? At your local library. Get your library card. Right now. Then start looking for more no-cost amusements. Are there free museums nearby? What parks and playgrounds are in your area? Do they host movies, festivals or events? Are you close to a farmer’s market? Does your local symphony offer any free concerts? What community events do the local churches offer around the holidays? Keep your ears and eyes out. Keep money in your pocket and party away. 14. Remove your debit card info from websites. One of the quickest ways to spend money these days is that “one click” feature or by having your debit card information stored on your favorite sites. When purchasing takes moments and little thought, it’s too easy to overspend. Instead, take the time to find your wallet, get out your debit card, and enter all those numbers. While you’re doing that, think about whether you really want that half-price vegan red leather moto jacket (when you already have a black one). Imagine yourself dragging and dropping that transaction to your personal spending line when it streams automatically into your EveryDollar Plus account. If you have the money and the desire after those extra minutes, then go ahead and buy it. If you realize it isn’t worth getting off the couch in the middle of watching your favorite comic-book-inspired television series, then don’t buy it. Senseless spending averted by laziness? Nope. By intentionality. Oh, yeah. Not only is this tip good for your wallet, but it’s also good for your body, brain and emotions too! It turns out, even mild levels of dehydration can affect our thinking and our moods. (1) So ordering water when you’re eating out and using your refillable water bottle will save you the cost of sodas and keep you hydrated and ready to conquer the day. You can save money by eating out less or by restaurant-ing smarter. When you do go out, take advantage of happy hour specials. They aren’t just for drinks anymore. Let that half-price appetizer fill up most of your stomach so you can buy a smaller entrée. Or eat apps only! Sign up for emails for your favorite restaurants, and you’ll get coupons and promos so you can eat on the cheap(er). (While you’re at it, unsubscribe from any restaurant or store emails that tempt you to get spend-y.) And don’t forget about those surveys at the bottom of your receipt. You can earn discounts or free food in exchange for a couple minutes of your time. When you’re crunching that complimentary chips and queso, you’ll know it was worth it. You don’t need brand-name everything. You can snob it up on a few items. That’s your right as a discerning shopper. But look into generic medications, trash bags, basic pantry items, cleaning supplies, and more. This is a quick and incredibly simple way to save money every time you shop! Just like you need a plan for your money overall (by making a budget), you also need a plan for your shopping (by making a shopping list). Start by meal planning—decide what you’ll be eat for breakfast, lunch and dinner throughout the week, and then make a list of all the things you need to make those meals happen. Stick to the list! It keeps you from forgetting things and from overspending each month on your grocery budget line. 19. Hit up those BOGOs and weekly ads. Stores with BOGO offers are begging you to save money. Pleading. Okay, not that far. But they are setting out the offers you need to sweep in and grab up. How about following this money-saving move: Make those meal plans based on your grocery store’s sales. You can even stock up the pantry and freezer for the future. Just don’t forget what you’ve bought when you’re making meal plans weeks later. Wasting isn’t saving. Don’t forget the single most important money-saving method out there—budgeting. Duh! You’ll never make those money goals without a budget. EveryDollar’s the best budgeting tool for the best budgeters around. And guess what. It’s free. Seriously. We appreciate humor and all, but we wouldn’t joke about that. You can sign up for an EveryDollar account today—at literally no cost—and set up your first budget in around ten minutes. When you start budgeting, you stare your finances in the face and tell them you know who’s ready to start saving smarter, who’s in charge, and who’s going to make these money goals come true. Ready to start saving money with EveryDollar?